This is my 6th tattoo on my right thigh. It was done by Mark at Overlord Tattoo in Atlanta. 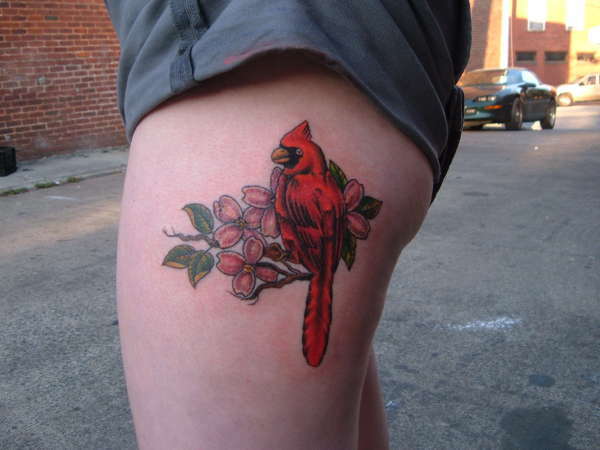 I spent my childhood in Virginia and the cardinal is the state bird and the dogwood is the state flower.